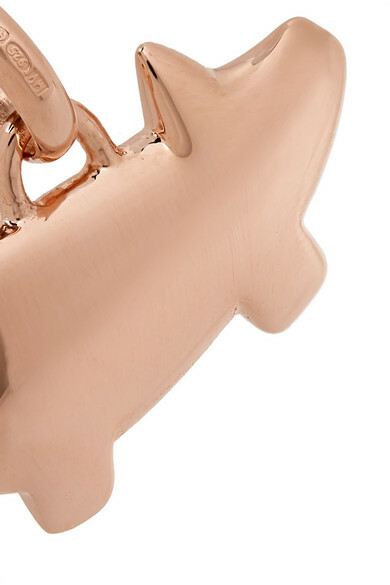 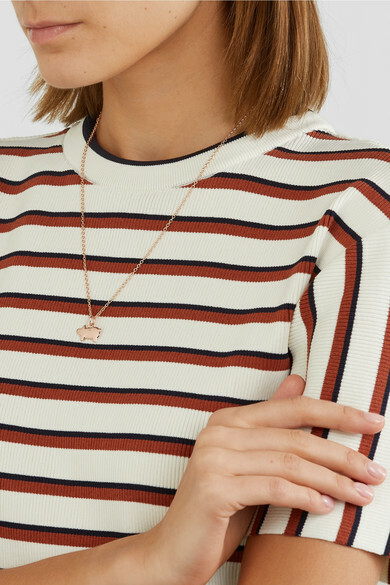 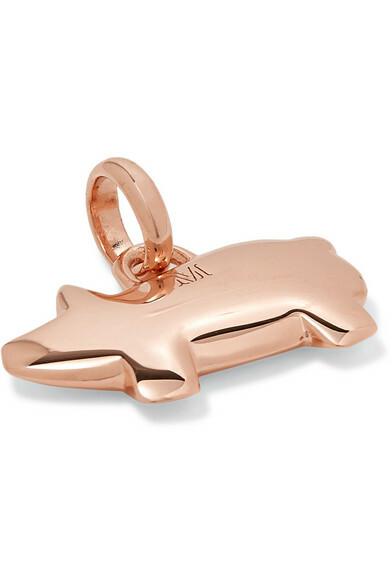 Designed to celebrate Chinese New Year, Monica Vinader's rose gold vermeil 'Bessie the Pig' pendant is shaped to resemble the zodiac animal of 2019 - those born in the year are considered diligent, compassionate and generous. 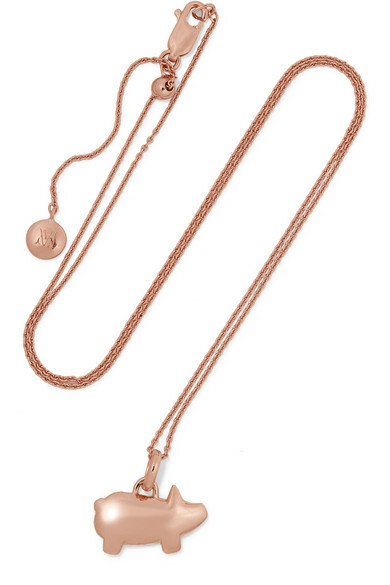 Slip it onto a coordinating chain and wear it all year round for good fortune. 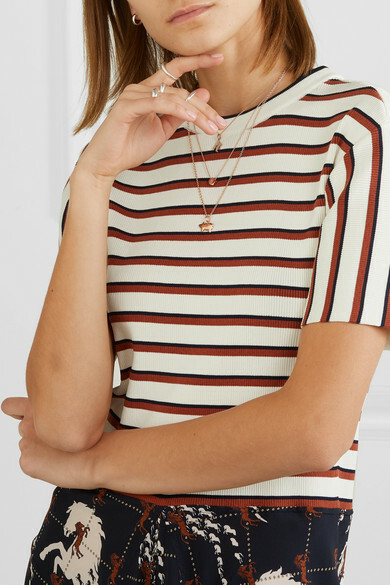 Shown here with: Chloé Dress, Sophie Buhai Ring, Monica Vinader Necklace, Monica Vinader Pendant, Monica Vinader Earrings.